With barely a weekend to go before the presidential by-election, the PF has decided to campaign in the provinces they have hitherto neglected. In Mufumbwe, North-western province, the PF has invaded villages with canters and other light trucks paying and ferrying cadres to the venue of a rally to be addressed by their candidate Edgar Lungu. Watchdog contacts in Mufumbwe say people are not interested but some will go just to see especially that there is free transport. The people are being ferried from far flung villages such as Kashima and Kifue to Mufumbwe town. North-Western is one of the four provinces PF has neglected saying they don’t really need votes from those regions. As far as the PF is concerned, they will win in other provinces but will just pass through Central, Western, North-Western and Southern provinces. 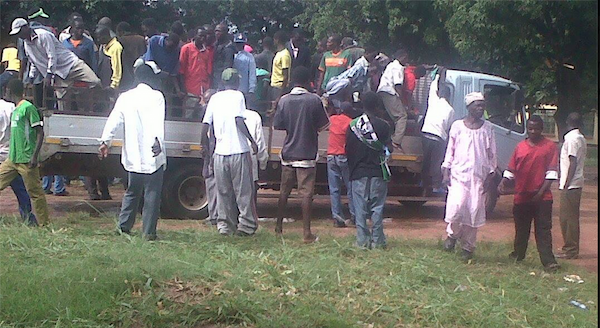 The PF has been concentrating their campaigns in Northern and Muchinga Provinces by holding numerous rallies there. Even in what they consider to be their stronghold, Copperblet, the campaigning has been lukewarm, as they have not gone to most towns and rural areas on the Copperbelt. With just more than a weekend to go, it is clear that the PF will just pass through provinces such as Southern and Western, having passed through Central province. In central province, they only campaigned in the Northern part of the province such as Kabwe and Kapiri Mposhi but ignored vast voters in Mumbwa. It is not clear why the PF has drawn such a geographical tribal map for their campaigns. Despite opinion polls and knowledge that Lusaka province has never voted for a ruling party since 1991, the PF still believe they will scoop Lusaka. Their main opponent Hakainde Hichilema of UPND has spent most of his energies in Northern, Luapula and Muchinga where he knows that his support had been low. In fact, the Watchdog understands that from Southern province where he currently is, Hichilema will hold one rally in Chawama, Lungu’s constituency then proceed to Copperbelt and Northern provinces.